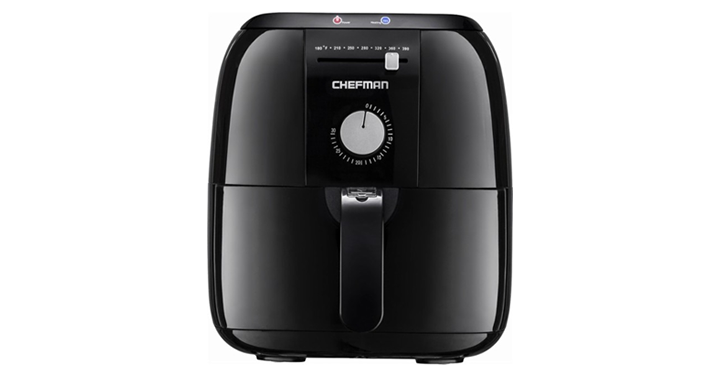 Chefman Analog 2.5L Air Fryer – Just $39.99! Healthy Frying! Need a new fryer? How about this deal on an air fryer? Quickly prepare fried favorites like shrimp and onion rings with this air fryer, which features adjustable temperature control and a 30-minute timer for flexible cooking. The dishwasher-safe basket makes cleanup quick and easy. I need to get one! Get on over to Best Buy and check out the deal – Chefman Analog 2.5L Air Fryer Just $39.99!